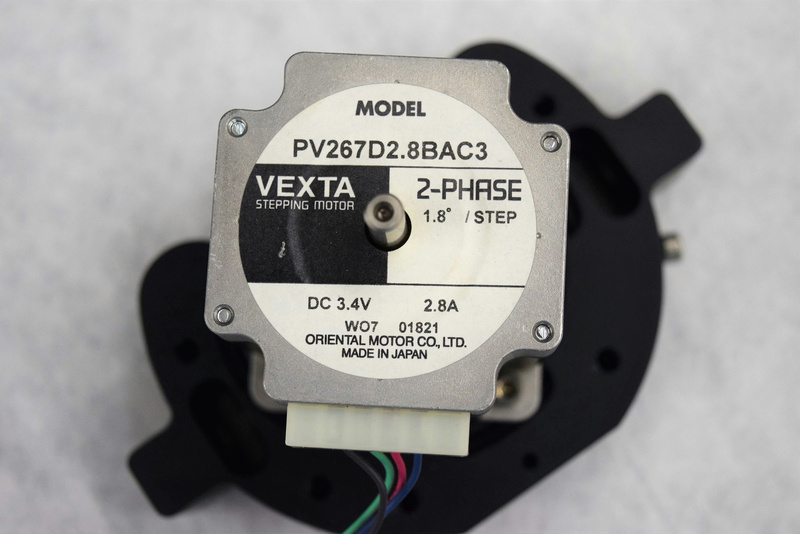 Vexta PV267D2.8BAC3 1.8º 2-Phase 3.4 VDC Stepper Motor for Ventana Discovery XT . New Life Scientific, Inc. The PV Series provides, on average, 1.5 times higher torque than a standard stepper motor. This motor was removed from a Ventana 750-701 Discovery XT Automated Slide Stainer. The equipment is show in the photographs for reference only. This stepper motor is untested by New Life Scientific technicians. As always the buyer is protected with a money-back guarantee in case of malfunction. This stepping motor is in excellent condition.